Gallstones that build up in your gallbladder can seem harmless and cause you no harm or discomfort at first, but as they build up, you may notice intense pains in your back or abdomen, especially after meals. These stones can also get in the way of proper digestion and even lead to cancer. Many individuals choose to have their gallstones removed surgically but wake up from surgery to find their entire gallbladder has been removed. By passing gallstones naturally, you can avoid a visit to the hospital and ensure that you keep your gall bladder for the rest of your life. Drink multiple glasses of apple juice each day for a number of days before you begin the cleanse to pass your gallstones. Natural Cancer Cures suggests drinking at least four glasses a day for six days, while Worldwide Health Center suggests drinking two glasses per day for 14 days. 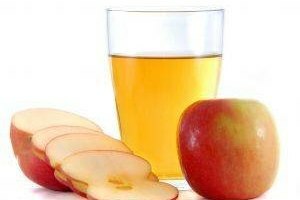 The contents in the apple juice soften the stones to help them pass easily through your gall ducts. 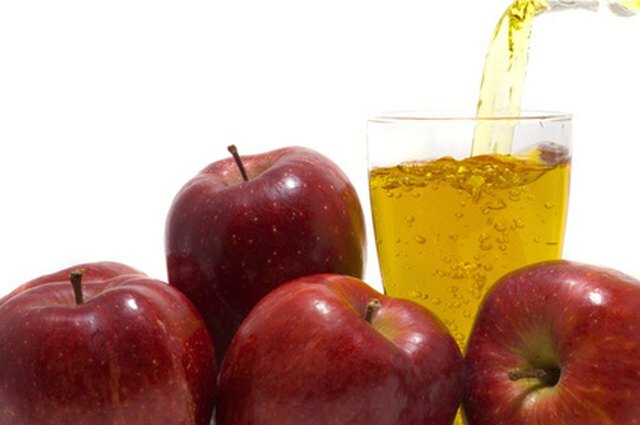 If you know you have a lot of gallstones to pass, you may want to soften them by drinking apple juice for a longer period of days rather than a shorter period. Eat only non-fat meals on the day of your cleanse, and do not eat anything after 2 p.m. For example, only eat things like non-fat cereal, fruit, brown bread, honey or vegetables. Don’t eat things like butter, milk or meat. Drink one teaspoon of Epsom salt dissolved in water at 6 p.m. and another at 8 p.m. to open the bile ducts to help the passing of the gallstones. Mix together 1/2 cup of olive oil with 1/2 cup grapefruit or orange juice. Add in the juice of a whole, fresh lemon and take it to the bathroom with you. Drink the olive oil and juice mixture through a straw while standing up at 10 p.m. Drink it within five minutes and immediately lie down on your right side and stay completely still for 20 minutes. At this point, you may feel the gallstones passing through the bile ducts, which may feel like marbles passing through your system. You should not feel any pain because the bile ducts are open from the Epsom salts. After this time period of 20 minutes or more, go to sleep. Drink another dosage of Epsom salts when you wake up the next morning, but do not drink it before 6 a.m. You can go back to bed after this. Repeat this step two hours later, after which you may also go back to bed. Begin eating two hours after your last Epsom salt treatment. Start with fruit juice and then eat fruit about 30 minutes later. An hour after that, you can begin to eat light foods, like vegetables, fruits or salads that don’t contain fatty foods. By dinnertime, you should feel well enough to eat regularly, but try to eat something healthy. The gallstones will pass in your stools. They may be green or yellow-colored in appearance and will probably pass sometime in the morning hours. Expect to have diarrhea at some point. You may have it at night after taking the olive oil and juice mixture, in the morning or both. This is normal and will allow you to pass your gallstones naturally. Just like any other medical treatment procedure, passing gallstones naturally comes with its own risks. One risk could be gall stones getting stuck in the bile ducts even though you open them with the Epsom salts. If you are nervous about doing this procedure at home, consult your doctor first. Chelsea Baldwin began writing professionally for local newspapers in 2008. She has published articles in “High Country Press” and “Kernersville News.” She also produced newsletters for a local chapter of AIESEC, a global nonprofit organization. She earned a Bachelor of Science degree in journalism from Appalachian State University.